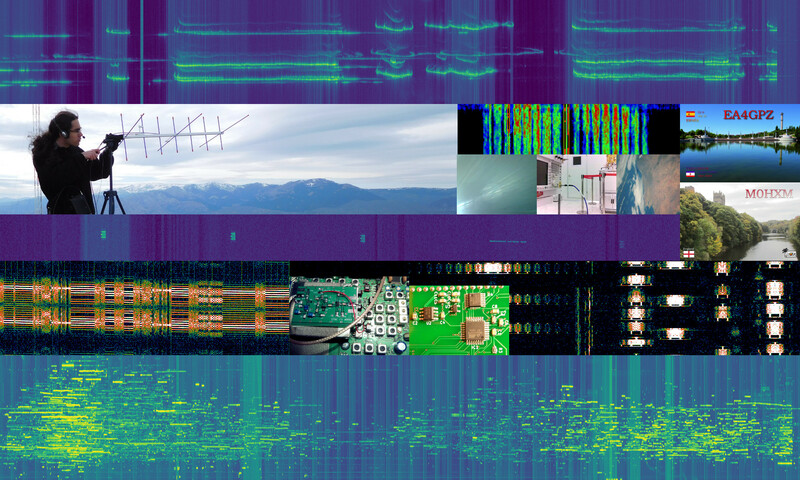 Measurements, transmissions, receptions, etc. with the objective of obtaining and analysing some data. In February this year, the orientation of the orbit of DSLWP-B around the Moon was such that, when viewed from the Earth, it passed behind the Moon on every orbit. This opened up the possibility for recording the signal of DSLWP-B as it hid behind the Moon, thus blocking the line of sight path. The physical effect that can be observed in such events is that of diffraction. The power of the received signal doesn’t drop down to zero in a brick-wall fashion just after the line of sight is blocked, but rather behaves in an oscillatory fashion, forming the so called diffraction fringes. The signal from DSLWP-B was observed and recorded at the Dwingeloo 25m radiotelescope for three days in February: 4th, 13th and 15th. During the first two days, an SSDV transmission was commanded several minutes before DSLWP-B hid behind the Moon, so as to guarantee a continuous signal at 436.4MHz to observe the variations in signal power as DSLWP-B went behind the Moon. On the 15th, the occultation was especially brief, lasting only 28 minutes. 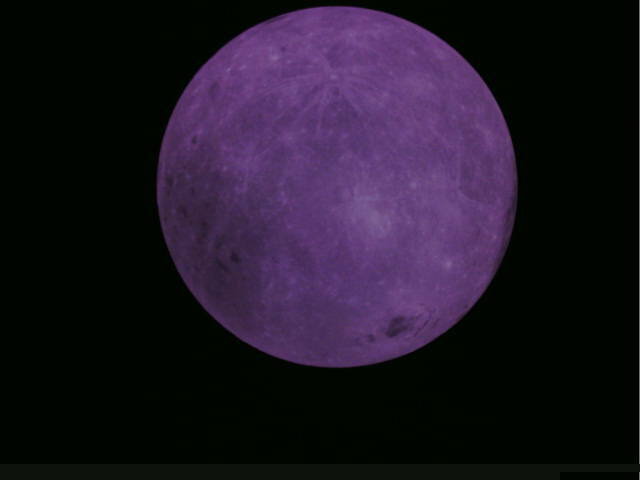 Thus, DSLWP-B was commanded to transmit continuously before hiding behind the Moon. This enabled us to also observe the end of the occultation, since DSLWP-B continued transmitting when it exited from behind the Moon. This is an analysis of the recordings made at Dwingeloo. Continuing with my frequency measurements of Es’hail 2, I have now been measuring the frequency of the beacons of the QO-100 narrowband transponder for several days. The main goal of these frequency measurements is to use Doppler to study the orbit of Es’hail 2. Previously, I had been doing frequency measurements on the engineering beacons at 10706MHz and 11205MHz. However, these beacons are currently being transmitted on a MENA beam, so I’m quite lucky to be in Spain, as they can’t be received in many other parts of Europe. During the in-orbit tests of Es’hail 2, the engineering beacons were transmitted on a global beam, and I performed some differential Doppler studies with Jean Marc Momple 3B8DU, in Mauritius. The engineering beacons are no longer any good for these kind of studies, since their area of coverage is small. Thus, I have started to measure the beacons in the narrowband transponder, which covers all the satellite footprint. Yesterday, AMSAT-DL announced that the narrowband transponder of QO-100 was under maintenance and that some changes to its settings would be made. This was also announced by the messages of the 400baud BPSK beacon. Not much information was given at first, but then they mentioned that the transponder gain was reduced by 6dB and a few hours later the beacon power was increased by 5dB. Since I am currently doing continuous power measurements of the transponder noise and the beacons, when I arrived home I could examine the changes and determine using my measurements that the transponder gain was reduced by 5dB (not 6dB) at around 15:30 UTC, and then the uplink power of the beacons was increased by 5dB at around 21:00 UTC, thus bringing the beacons to the same downlink power as before. In what follows, I do a detailed analysis of my measurements. After being busy with other projects, I have resumed my frequency measurements of the Es’hail 2 beacons. The last measurement I performed was made when the satellite reached its operational slot at 26ºE. After manoeuvering to this spot, the Doppler was very small, on the order of 0.8ppb peak-to-peak, indicating a very accurate geostationary orbit. Now Es’hail 2 has been two months in its operational slot, inaugurating its Amateur transponders on February 14 and entering commercial service on March 7. I am curious about studying again the Doppler at this point in the mission, to see how accurate the GEO orbit is. I am also interested in collaborating with other Amateurs to perform differential Doppler measurements, as I did with Jean Marc Momple 3B8DU. Here I detail the first results of my measurements. If you’ve been following my posts about Es’hail 2, you’ll know that shortly after launch Es’hail 2 was stationed in a test slot at 24ºE. It remained in this slot until December 29, when it started to move to its operational slot at 26ºE. As of January 2, Es’hail is now stationed at 26ºE (25.8ºE, according to the TLEs). The new GEO orbit at 26ºE is much more perfect than the orbit it had at 24ºE. This is to be expected for an operational orbit. Since December 30, I’ve been recording Doppler data of the satellite moving to its operational slot, and I have found some interesting effects of orbital dynamics in the data. This post is an account of these. 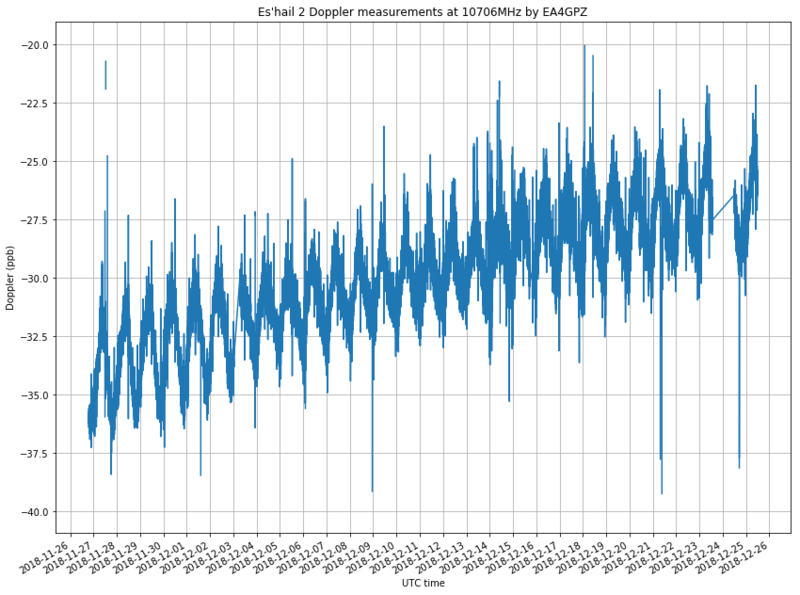 Since I published my Es’hail 2 Doppler measurement experiments, Jean Marc Momple 3B8DU has become interested in performing the same kind of measurements. The good thing about having several stations measuring Doppler simultaneously is that you can perform differential measurements, by subtracting the measurements done at each station. This eliminates all errors due to transmitter drift, since the drift is the same at both stations. Of course, differential measurements need to be done with distant stations, to ensure different geometry that produces different Doppler curves in each station. Otherwise, the two stations see very similar Doppler curves, and subtracting yields nothing. The good thing is that Jean Marc is in Mauritius, which, if you look at the map, is on the other side of the satellite compared to my station. The satellite is at 0ºN, 24ºE, my station is at 41ºN, 4ºW, and Jean Marc’s is at 20ºS, 58ºE. This provides a very good geometry for differential measurements. Some days ago, Jean Marc sent me the measurements he had done on December 22, 23 and 24. This post contains an analysis of these measurements and the measurements I took over the same period, as well as some geometric analysis of Doppler. It would be interesting if other people in different geographic locations join us and also perform measurements. As I’ll explain below, a station in Eastern Europe or South Africa would complement the measurements done from Spain and Mauritius well. If you want to join the fun, note a couple of things first: The Doppler is very small, around 1ppb (or 10Hz). Therefore, you need to have everything locked to a GPS reference, not only your LNB. Also, the change in Doppler is very slow. The Doppler looks like a sinusoidal curve with a period of one day. To obtain meaningful results, continuous measurements need to be done over a long period. At least 12 hours, and preferably a couple days. In a previous post I talked about my Doppler measurements of the Es’hail 2 10706MHz beacon. I’ve now been measuring the Doppler for almost a month and this is a follow-up post with the results. This experiment is a continuation of the previous post, so the measurement setup is as described there. It is worthy to note that, besides the usual satellite movement in its geostationary orbit, which causes the small Doppler seen here, and the station-keeping manoeuvres done sometimes, another interesting thing has happened during the measurement period. On 2018-12-13 at 8:00 UTC, the antenna where the 10706MHz beacon is transmitted was changed. Before this, it was transmitted on a RHCP beam with global coverage. After the change, the signal was vertically polarized and the coverage was regional. Getting a good coverage map of this beam is tricky, but according to reports I have received from several stations, the signal was as strong as usual in Spain, the UK and some parts of Italy, but very weak or inexistent in Central Europe, Brazil and Mauritius. It is suspected that the beam used was designed to cover the MENA (Middle East and North Africa) region, and that Spain and the UK fell on a sidelobe of the radiation pattern. At some point on 2018-12-19, the beacon was back on the RCHP global beam, and it has remained like this until now. The figure below shows my raw Doppler measurements, in parts-per-billion offset from the nominal 10706MHz frequency. The rest of the post is devoted to the analysis of these measurements.